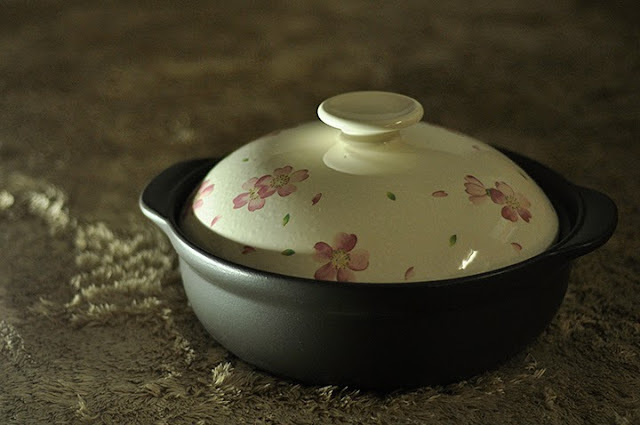 I been looking for a really nice claypot to cook some nice dishes, as i'm very "tam chiak". Those dishes cooked by mum in claypot really can stay in my mind forever! Anyway, i was told by my gf that there were warehouse sales for over this weekend. So we headed to Miyao-Toki (M) Snd Bhd. The address is Lot 67 Kulim Industrial Estate, 09000 Kulim, Kedah, Malaysia. Its somewhere nearby Renesas kulim. I suggest u use GPS to find the factory. I use Papago, and it really do the job to bring me there accurately. In the event, there are many many table wares. A lots of plates, bowls, cup, and of cos the claypot that i always wanted for. The price are cheaper than market, hence i chose the biggest claypot with the induction cooker able function. This claypot caused me RM100, i heard for the worker its the import quality, which currently sold at RM3xx at the market. This is our first visit to the warehouse sales and i think we had spent around RM 160 plus plus here for the claypot and many plates. Anyway, i think girls like ceramic plates, especially those white and look smooth/ fine!